You send your kids to school or possibly attend one yourself, each and every day assuming that the environment in which the day is spent is at least marginally healthy and safe. If you only knew the secrets potentially lurking behind pictures, in food storage areas, bathrooms, on the undersides of desks, in janitorial closets, locker rooms, etc. It’s enough to make your skin crawl – literally. Insects and rodents usually have no problem getting into schools and certainly have no shortage of supplies upon which to feast, make nests, and generally indulge themselves. 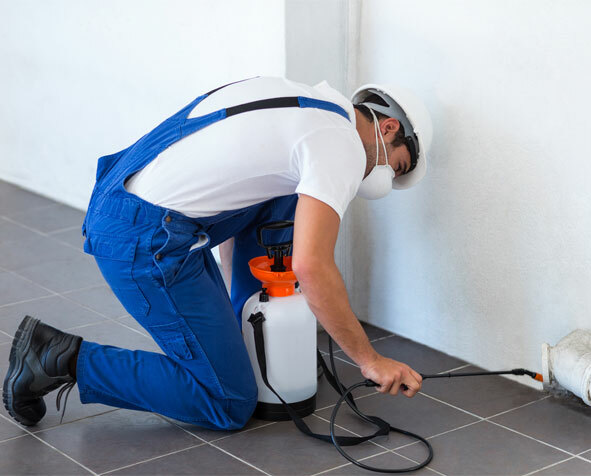 But, even though those circumstances offer seemingly unbeatable odds in favor of the invaders, the right professional pest control agency can give everyone real peace of mind and bring the environment to a level that is safe and free from infectious diseases. At least as far as the pests go, the sheer magnitude of infected people working at and attending schools make them problematic when it comes to spreading colds, flu, and other common viruses. Because so many people from so many walks of life come and go in and out of schools every day, and because there are various deliveries and kitchens dealing with food items; it would be impossible to keep infestations under control without professional assistance. In particular, cockroaches, lice, and bedbugs travel back and forth on a regular basis on people and in their belongings. Food deliveries can contain pests from the fields from which they came, the storage buildings where they were kept, the trucks that they came in on, etc. And no matter how clean a school keeps its cafeteria and kitchen, there are bound to be infestations if not properly treated by professional pest control companies. Why Do You Need School Building Pest Control? The shed carcasses, saliva, eggs, and excrement from some pests can trigger asthma attacks. In schools, this is particularly disconcerting to all of the children that have been diagnosed with asthma symptoms and other conditions involving the respiratory system. For whatever reason, asthma seems to be running rampant among our children and some adults today. Additionally, food can be contaminated with Streptococcus, Staphylococcus, and Salmonella through some of these same sources. As you can see, without the proper pest management assistance, schools have the propensity to become a hotbed of disease and generally unhealthy conditions. Why Choose PEST for School Building Pest Control Services? At Pest Elimination Systems Technology, Inc., we have more than 30 years of experience and industry expertise in pest control. Though elimination is a major player in what we do at PEST, our key purpose is prevention. Once the pests are eliminated, prevention must be the focus of any pest control agency so that the problem never comes back. We understand the challenges faced every day in schools, and we are prepared to do what is needed to rid your school of insects and rodents and make sure they never return. We use safe, eco-friendly methods to treat not only the inside but the outside of your building, denying any future pasts entry. Give us a call or email us today to set up an appointment, and get your school back on track to becoming the healthy, safe environment that it can be.